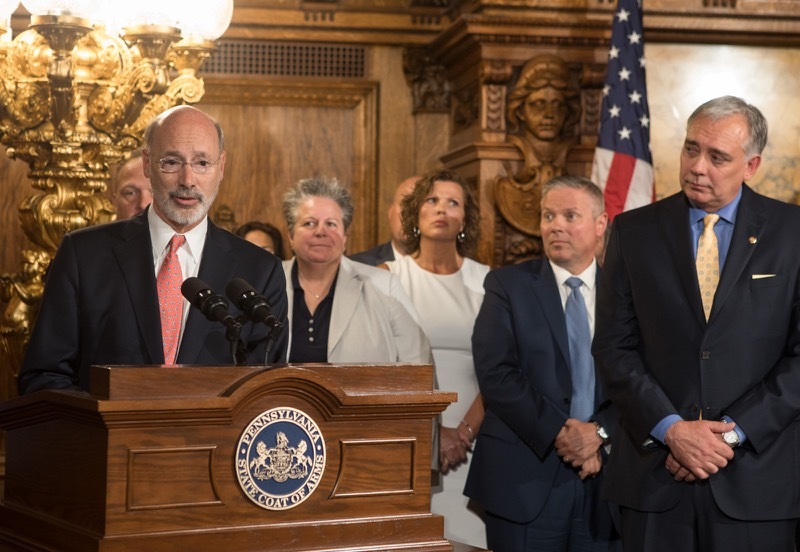 HARRISBURG - Auditor General Eugene DePasquale today said that a recent audit of The Pennsylvania State University shows the school made some progress since the Sandusky scandal, but the state-related institution needs to improve campus security, prioritize Pennsylvania students and be subject to open records law. 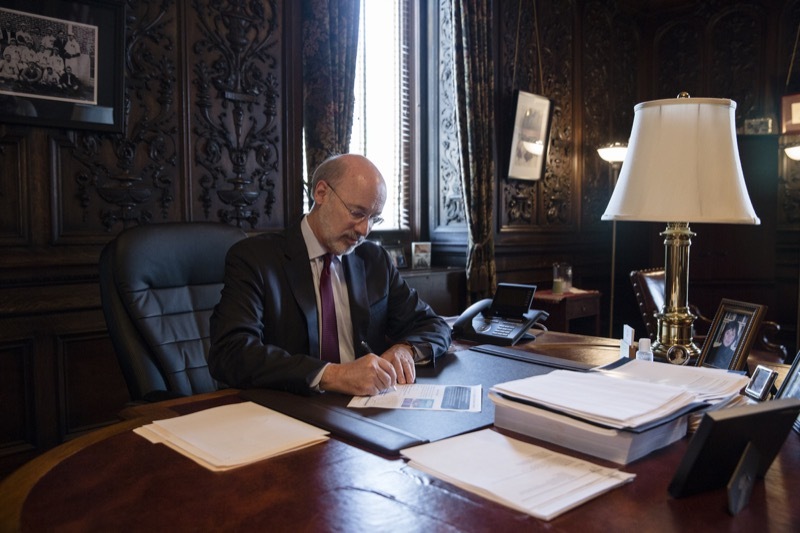 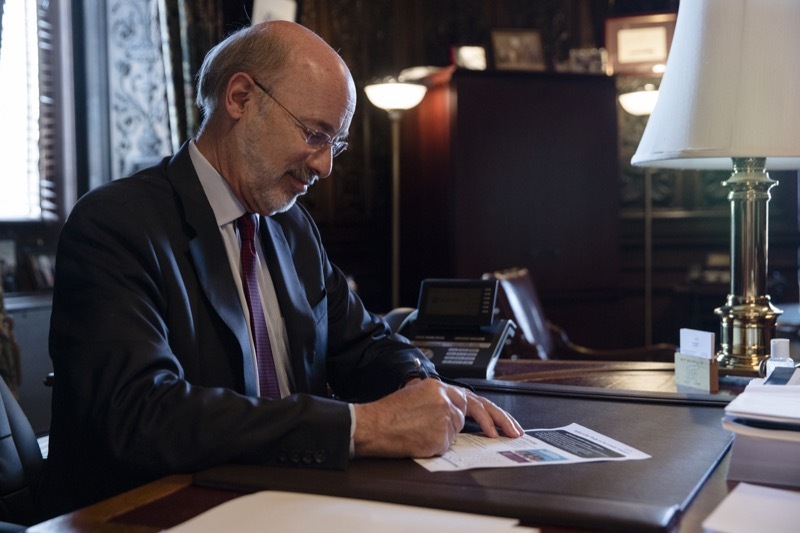 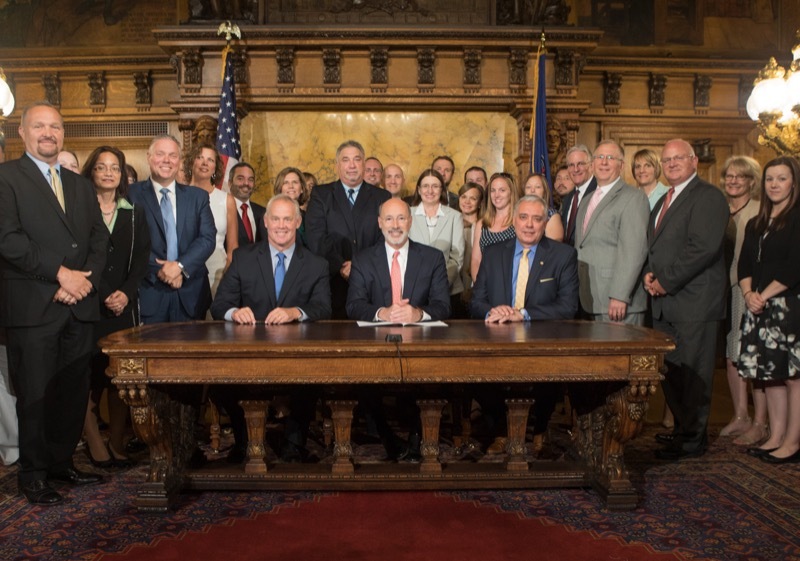 Governor Tom Wolf today signed House Bill 202, known as Act 6, into law. 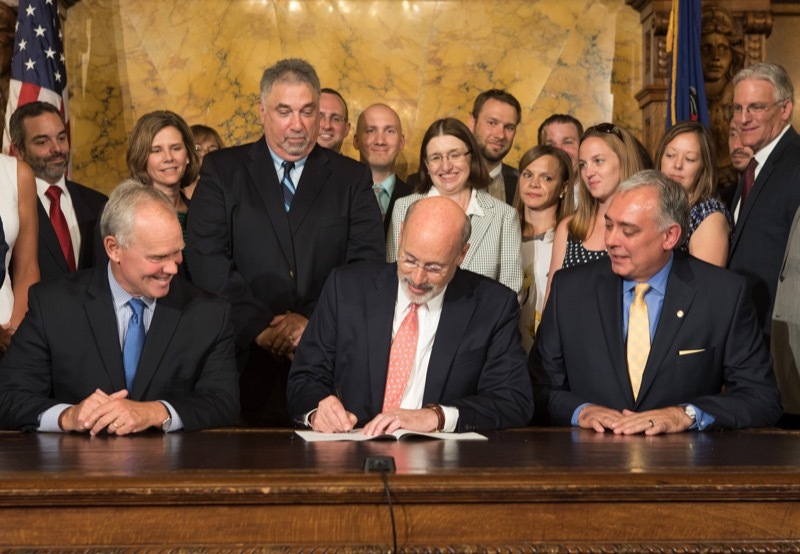 The bill, sponsored by House Speaker Mike Turzai, amends the Public School Code to allow students in career and technology education (CTE) to demonstrate proficiency and readiness for high school graduation in an alternative pathway, and removes the statutory requirement for the Keystone Exam on that student population. 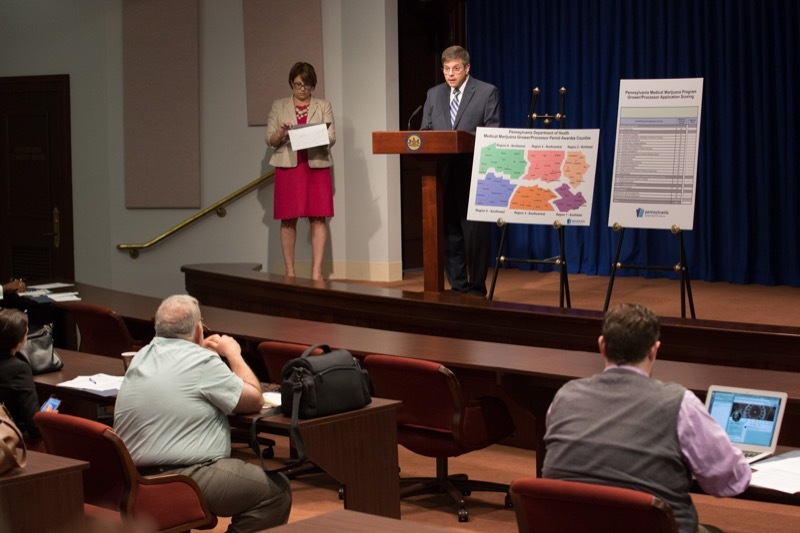 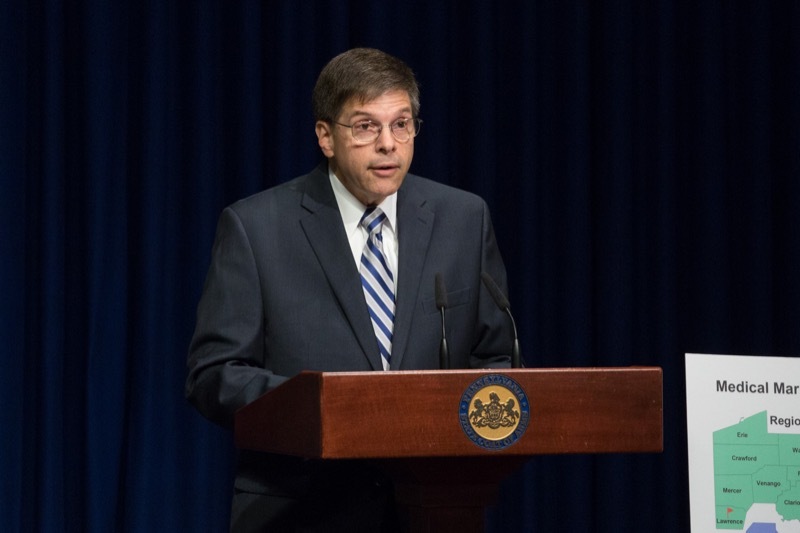 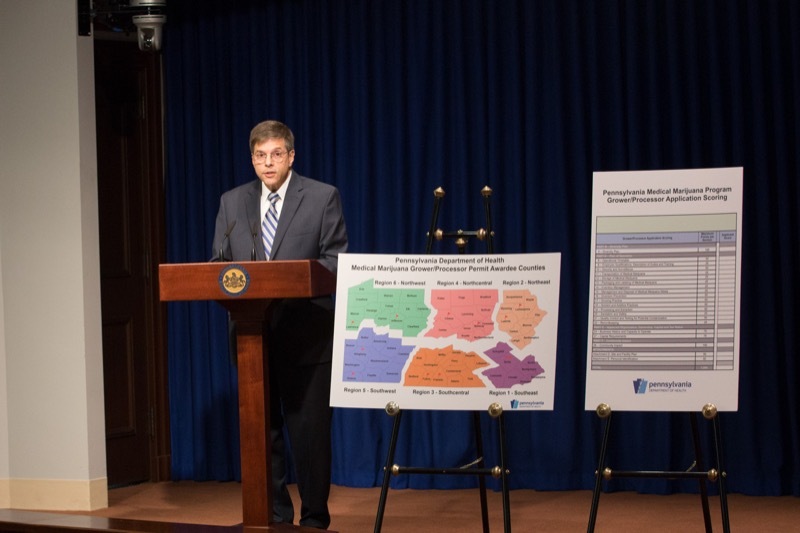 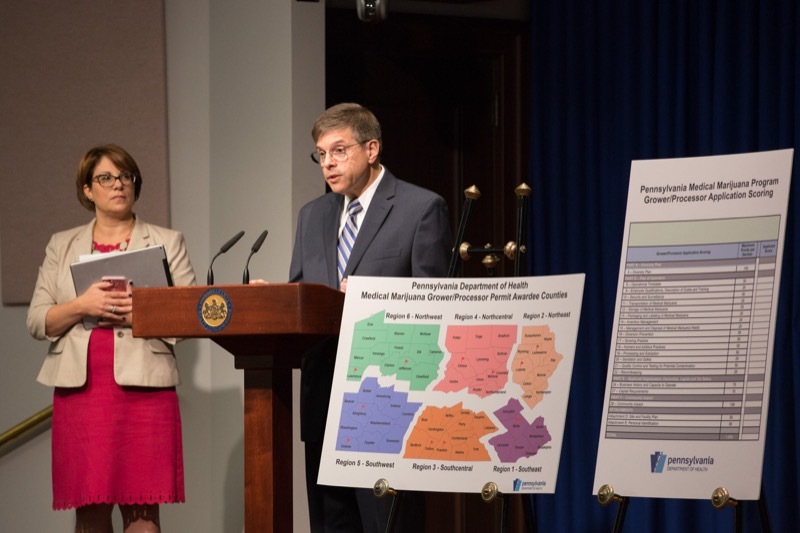 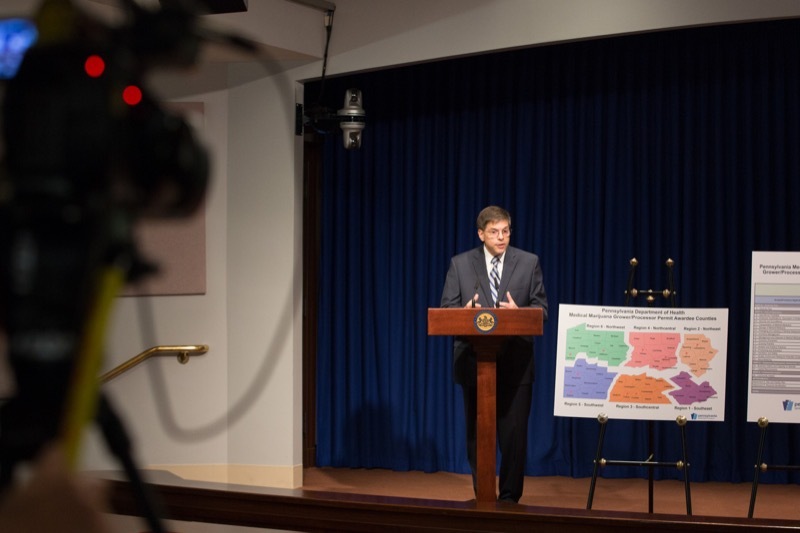 The Pennsylvania Department of Health today released information on the issuance of 12 permits for medical marijuana growers/processors in the state. 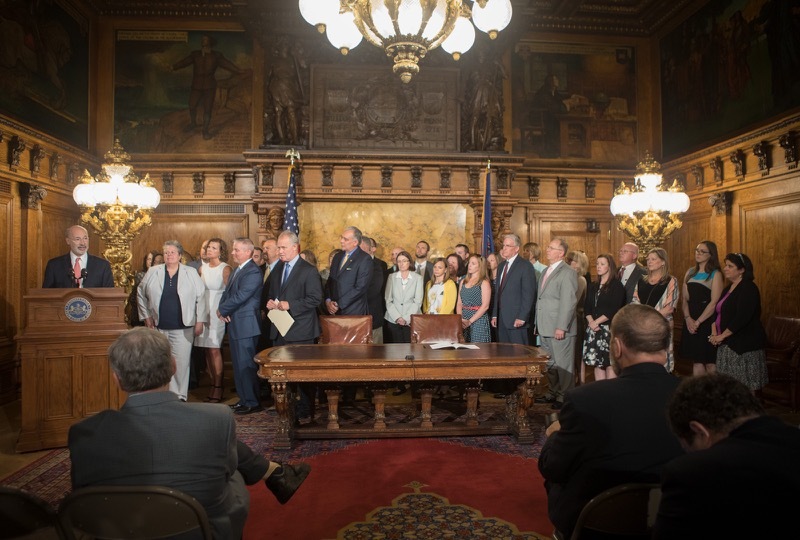 The permittees will now have six months in which to become operational before they can begin growing medical marijuana. 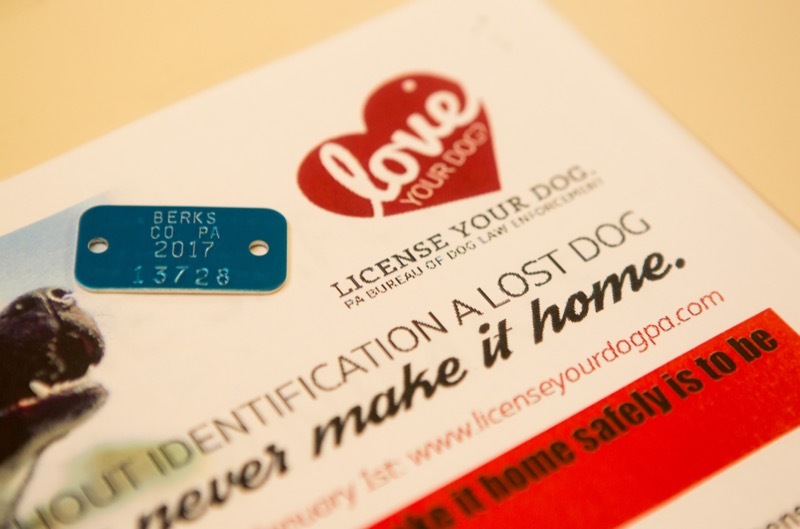 Entities receiving permits were notified by mail. 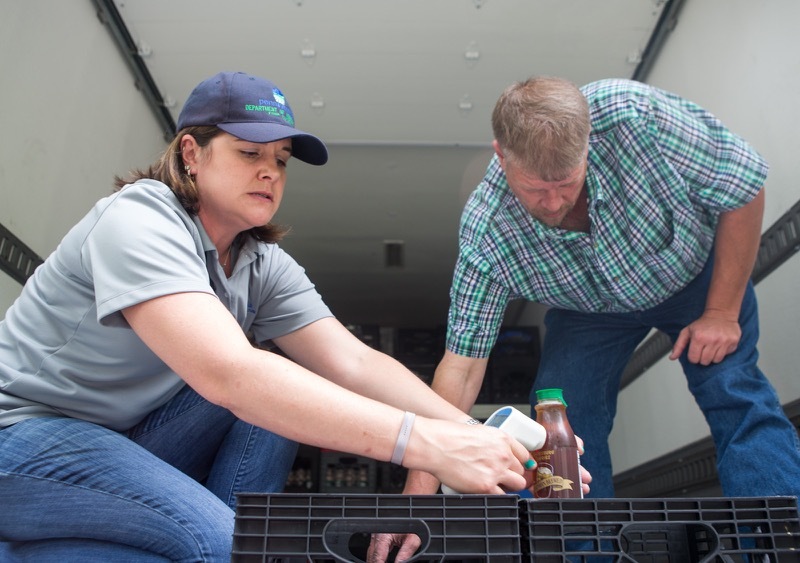 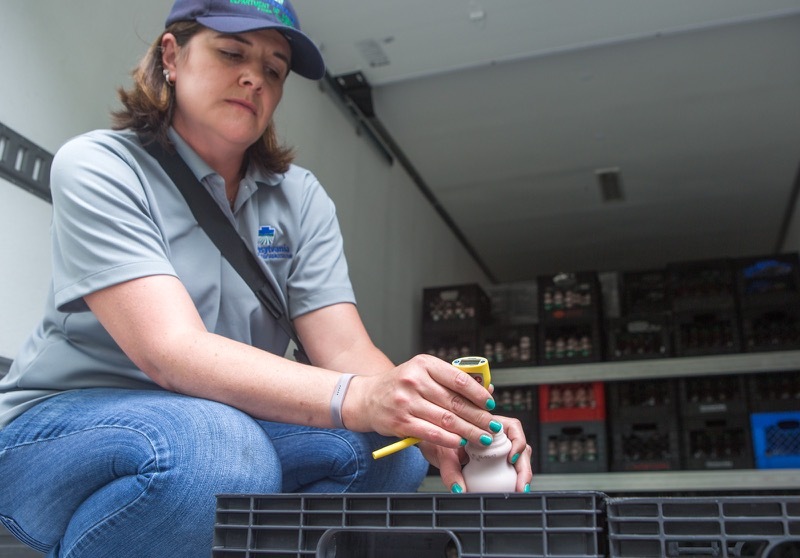 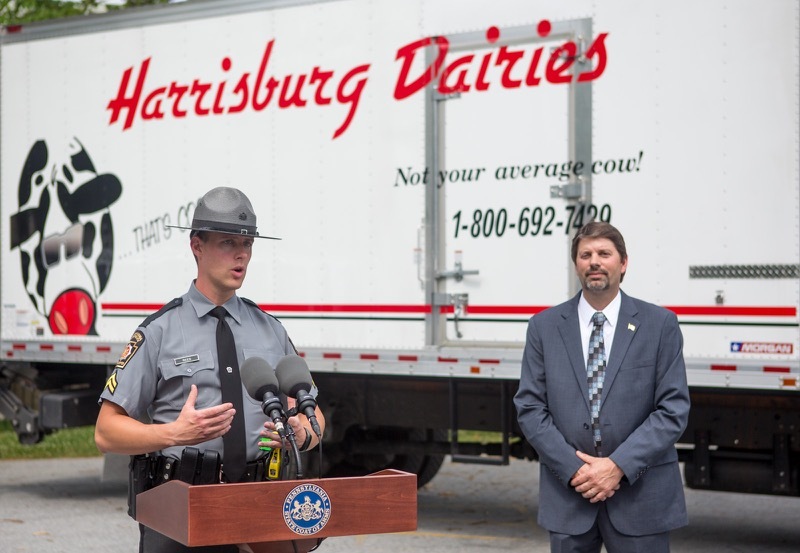 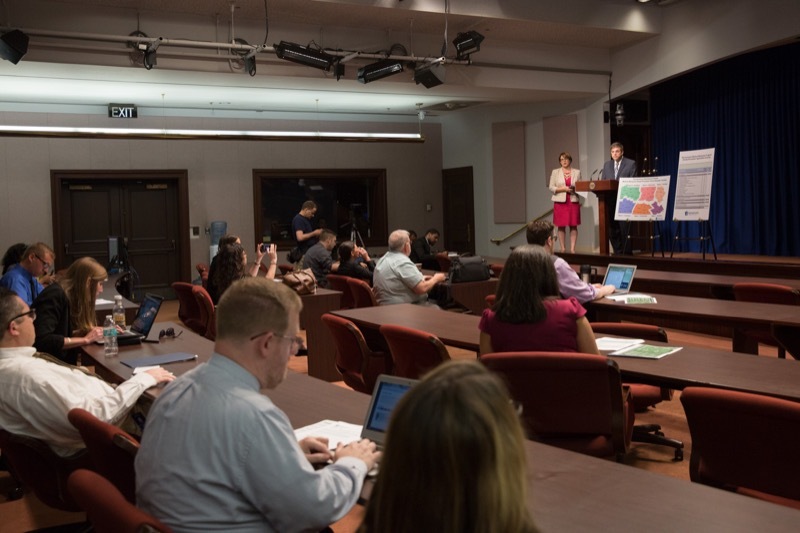 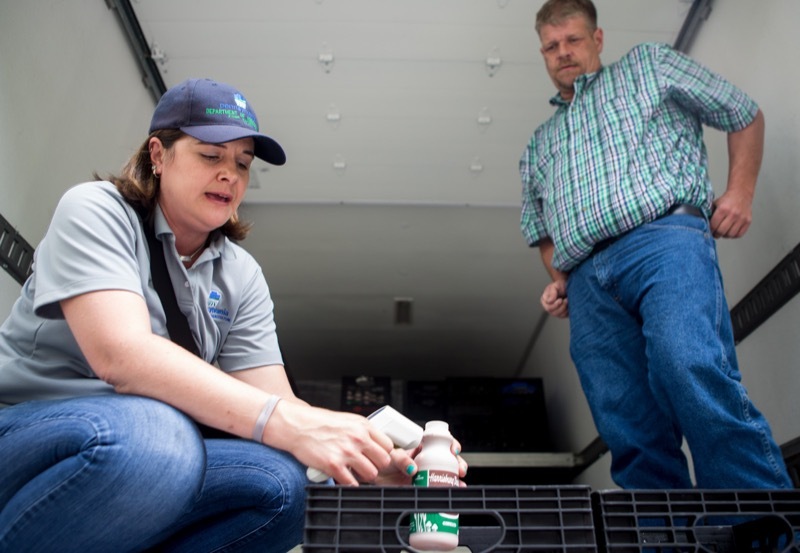 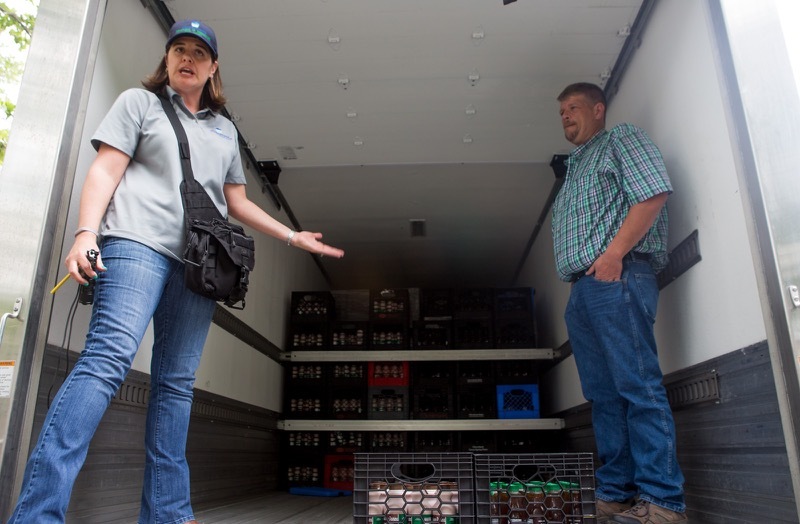 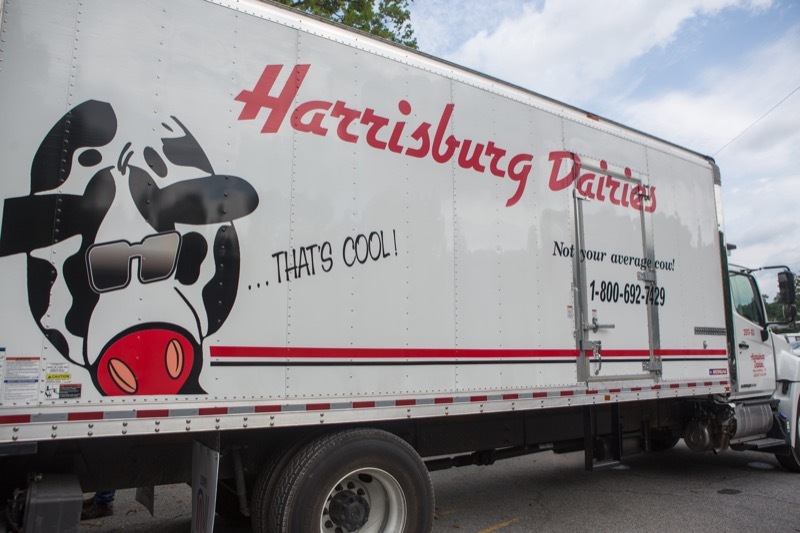 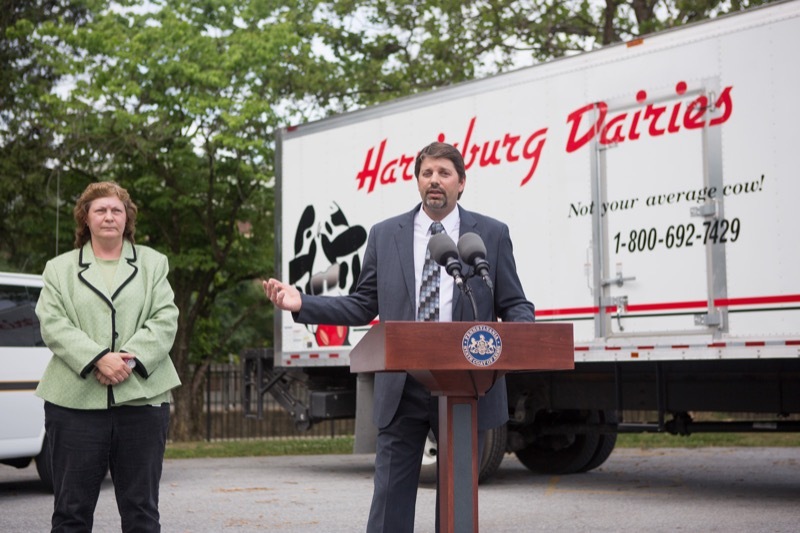 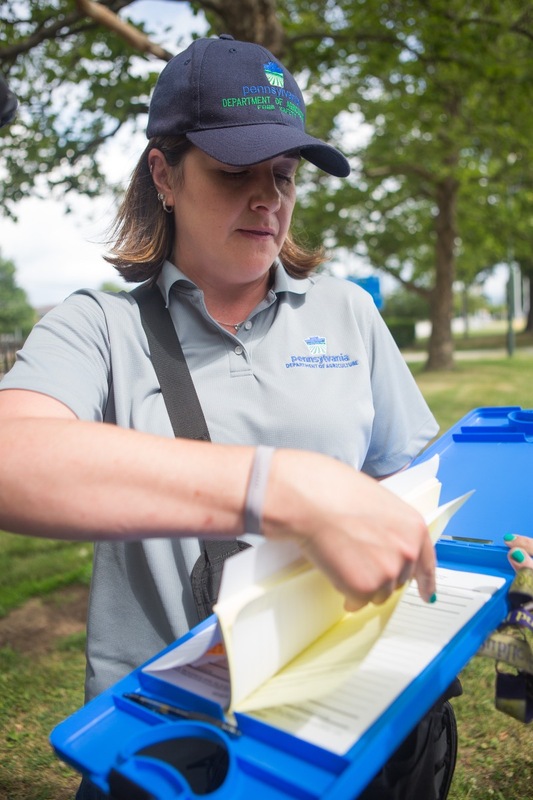 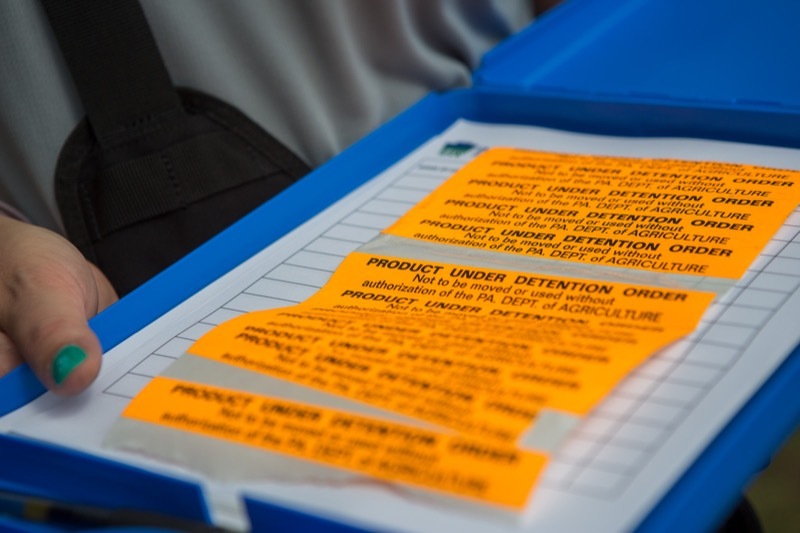 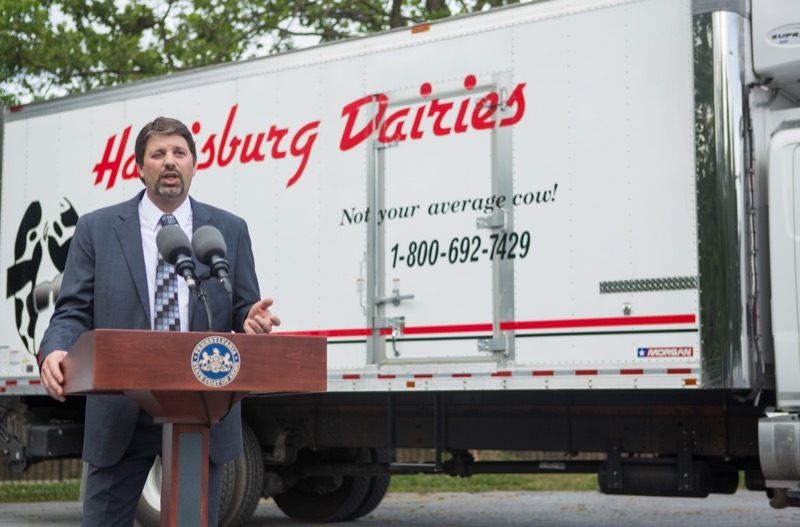 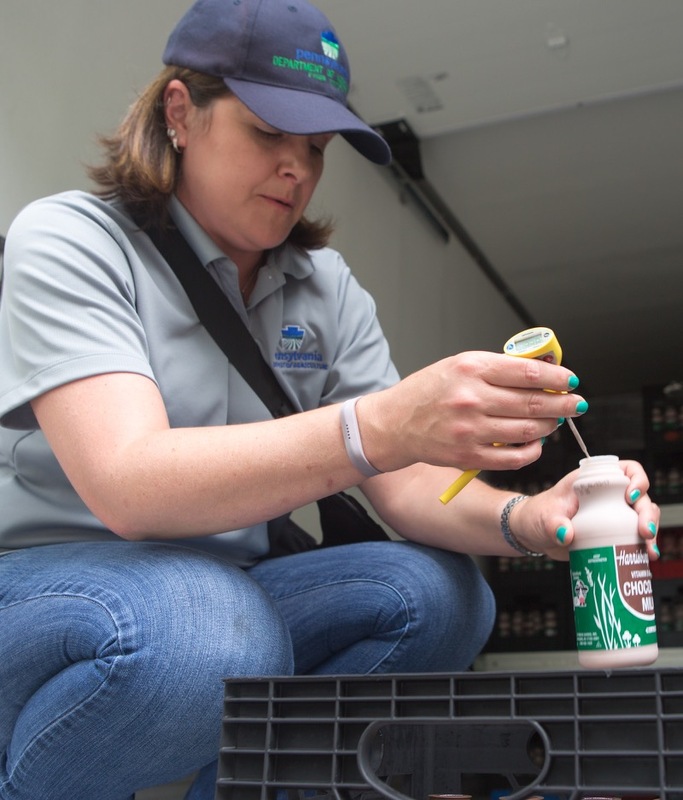 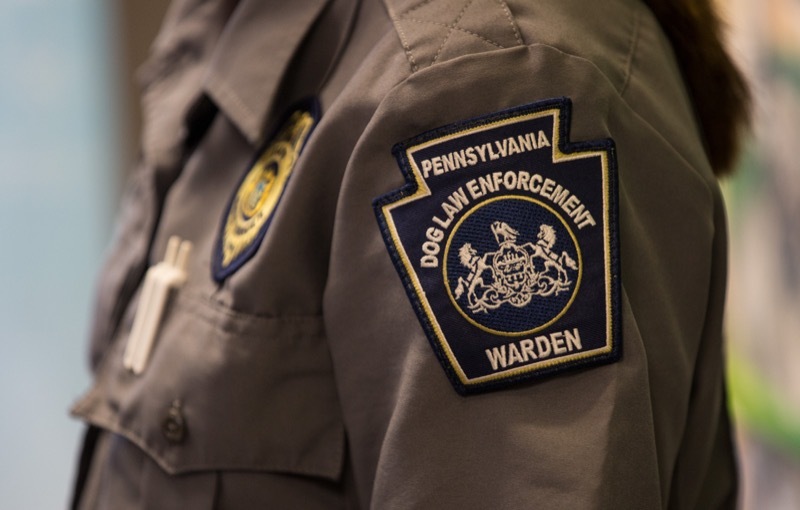 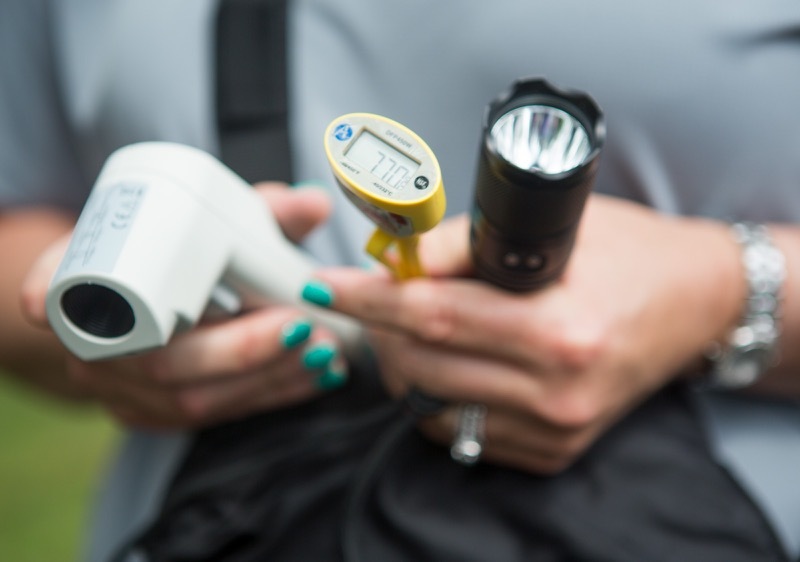 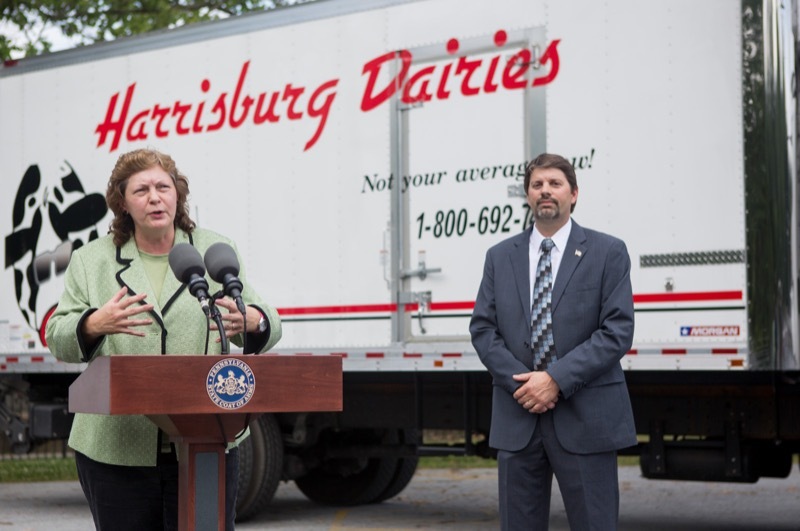 A partnership between Pennsylvania State Police and food safety inspectors from the Pennsylvania Department of Agriculture is helping to ensure the safety of foods while on the road, especially during the summer months, according to state officials who today announced the start of a special annual enforcement effort. 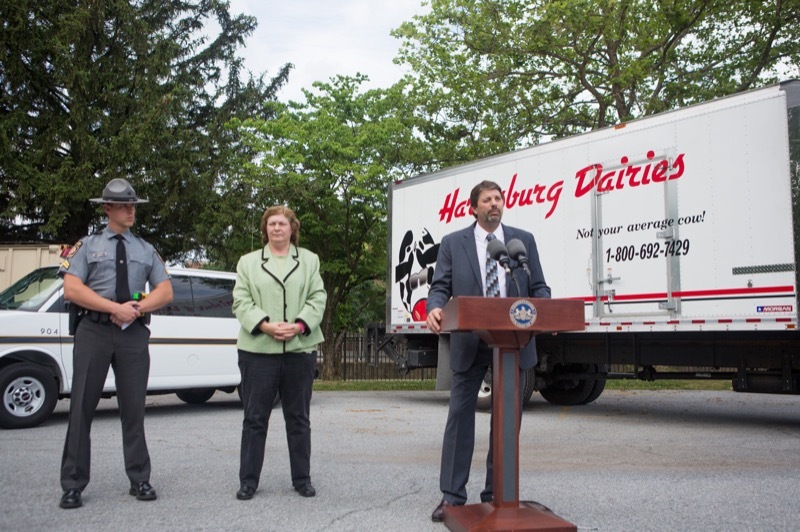 Harrisburg, PA - A partnership between Pennsylvania State Police and food safety inspectors from the Pennsylvania Department of Agriculture is helping to ensure the safety of foods while on the road, especially during the summer months, according to state officials who today announced the start of a special annual enforcement effort. 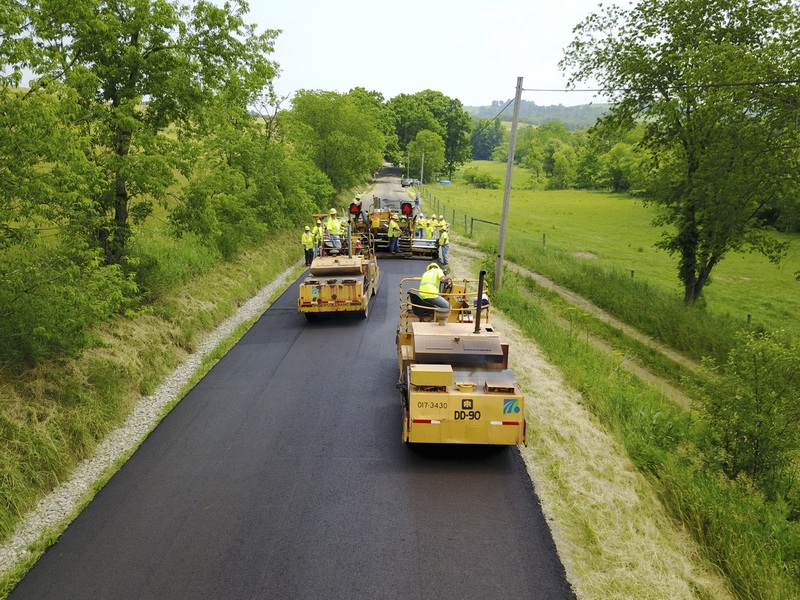 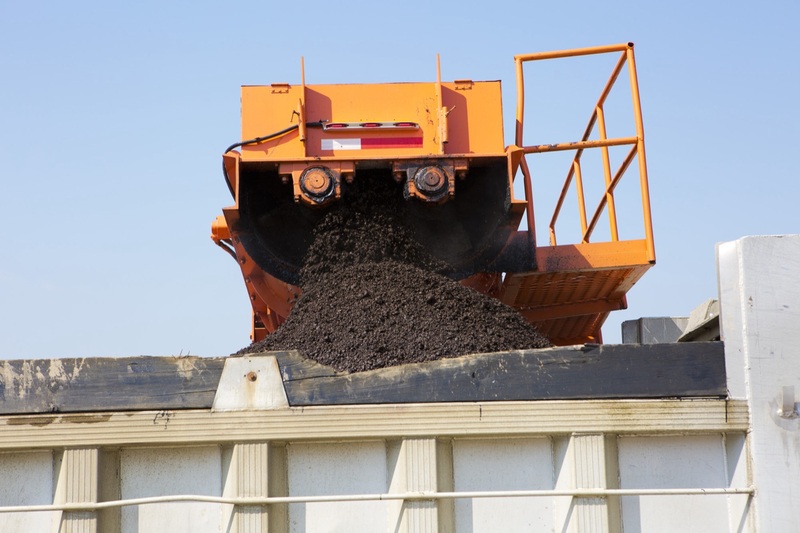 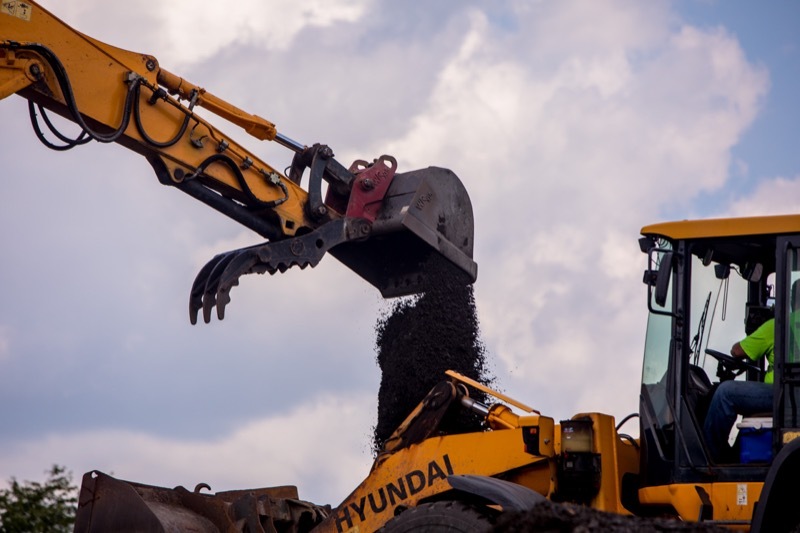 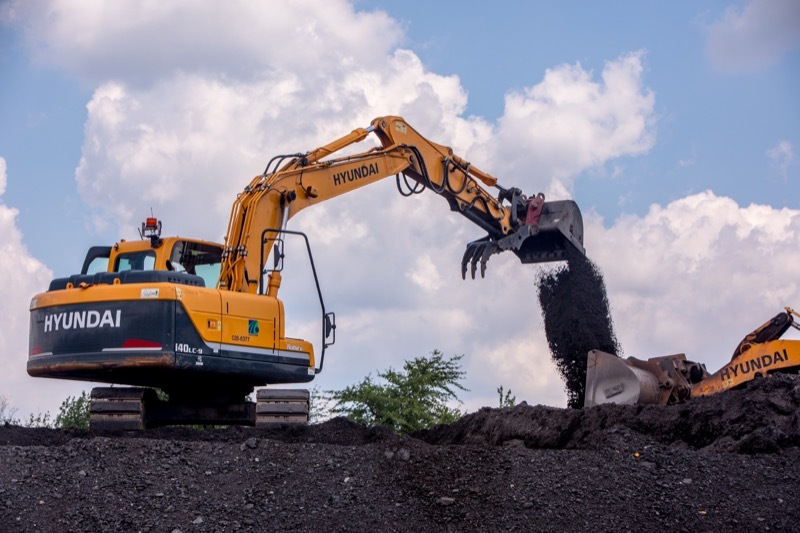 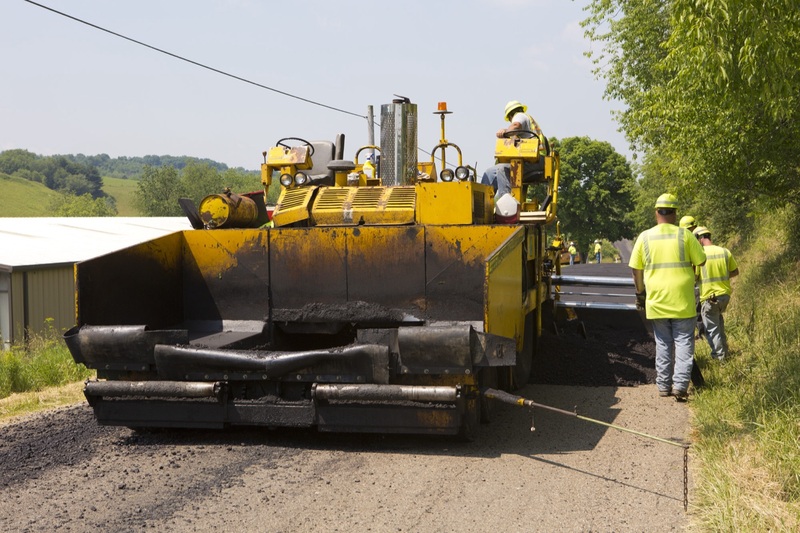 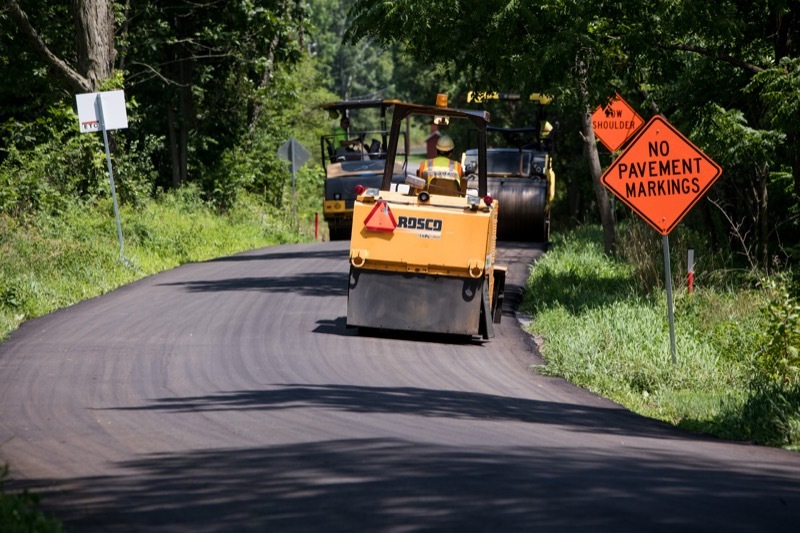 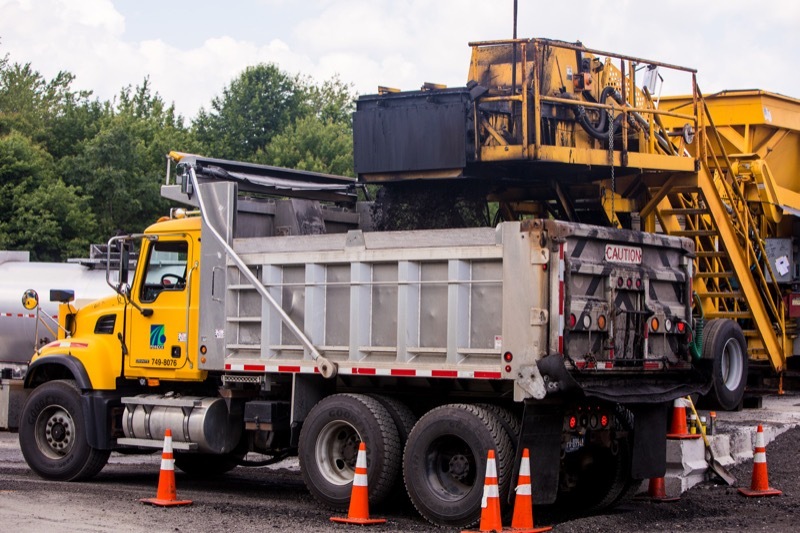 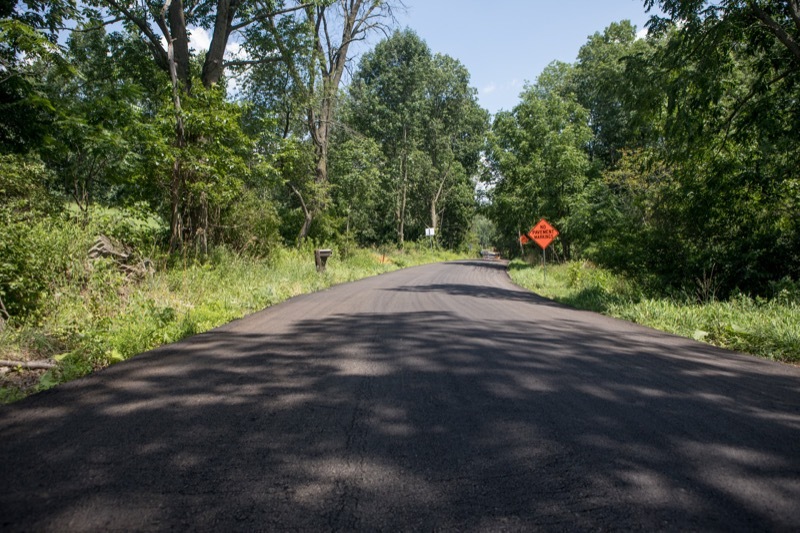 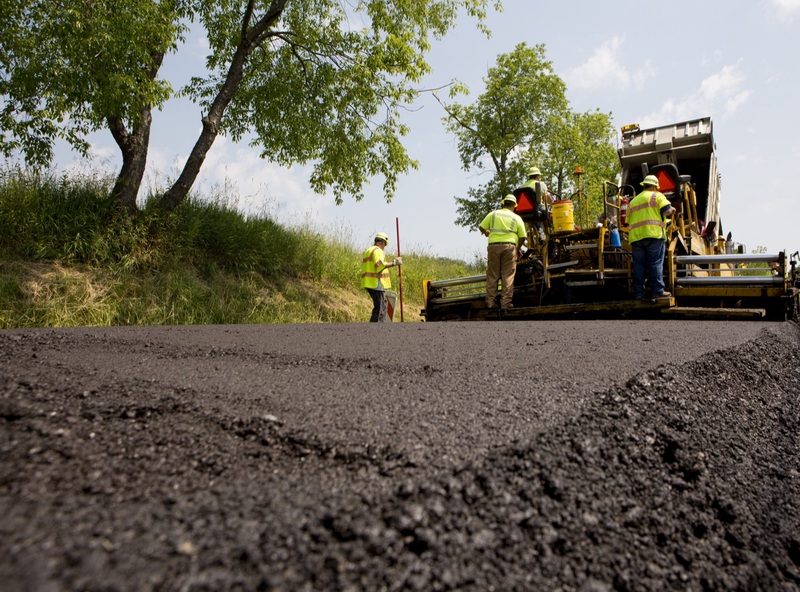 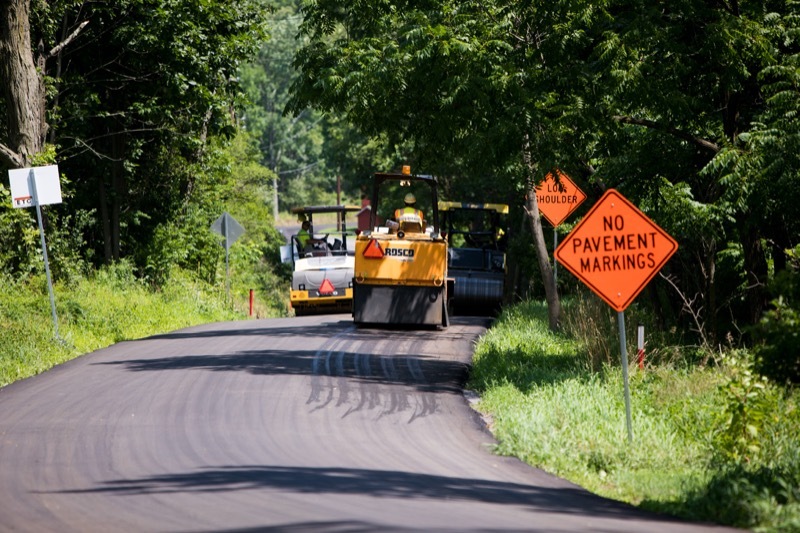 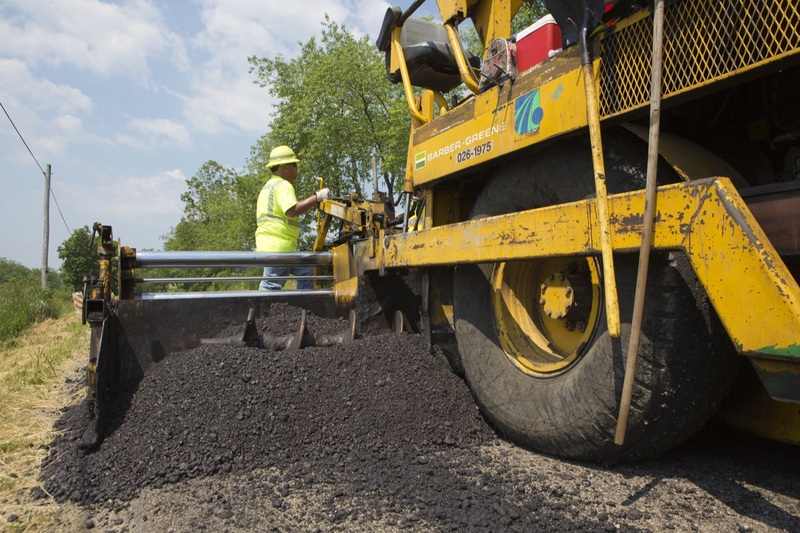 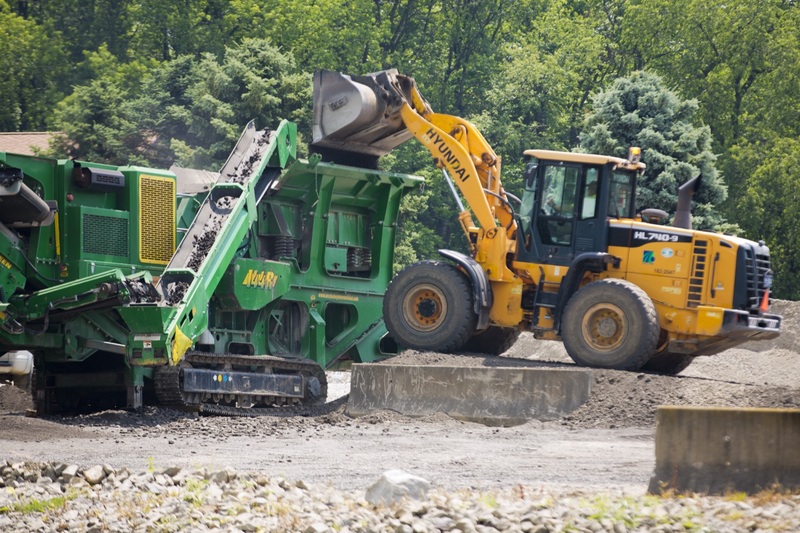 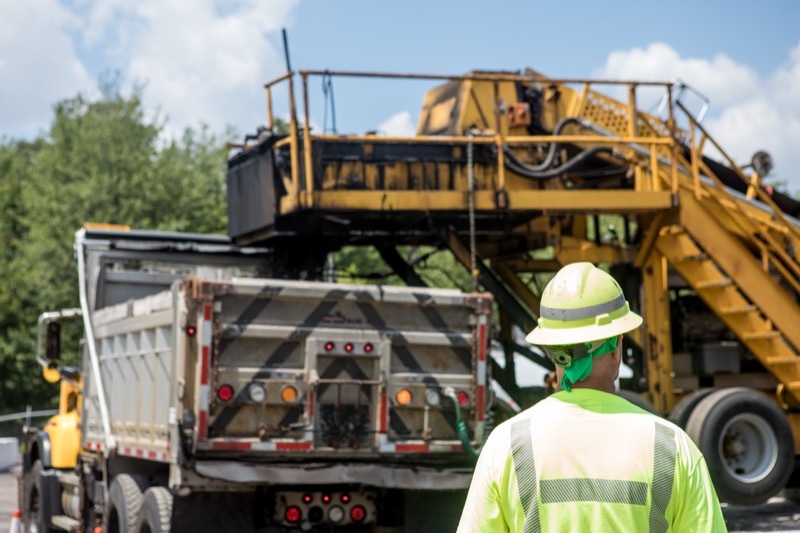 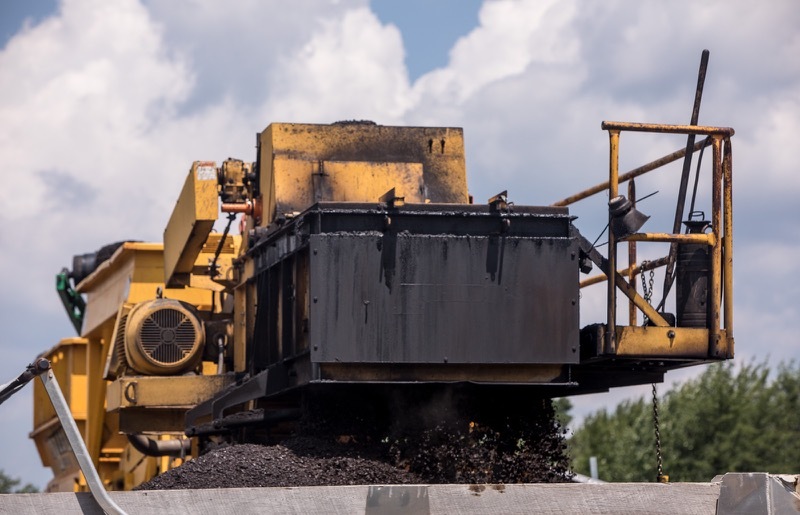 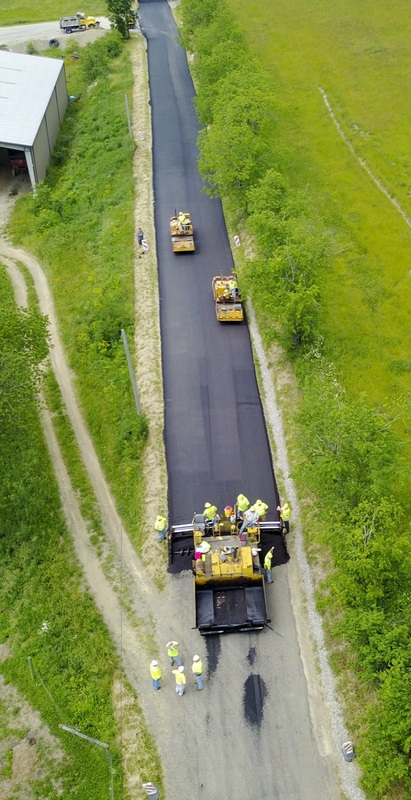 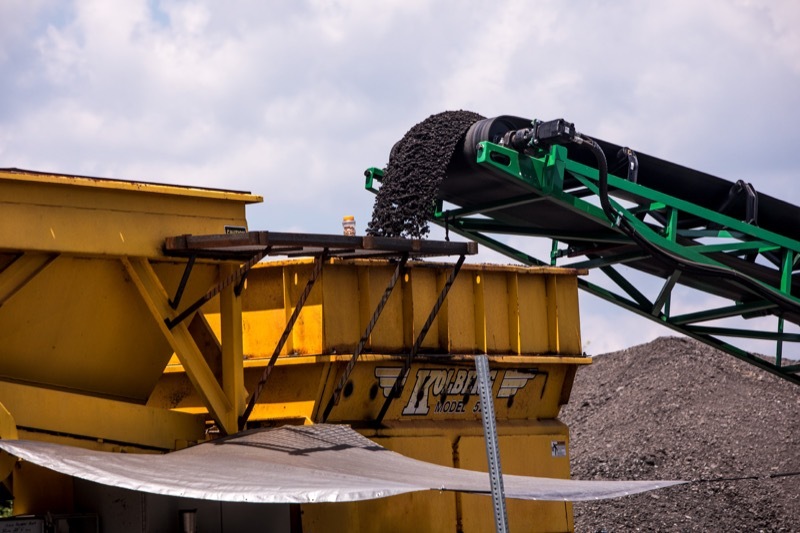 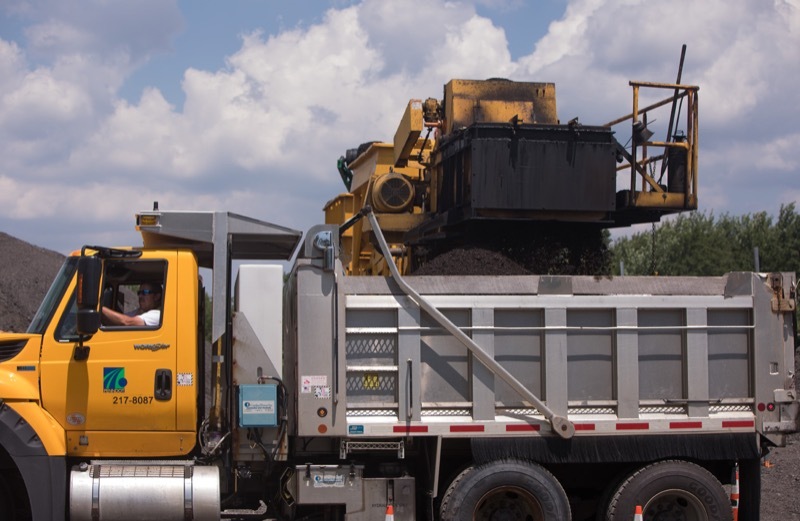 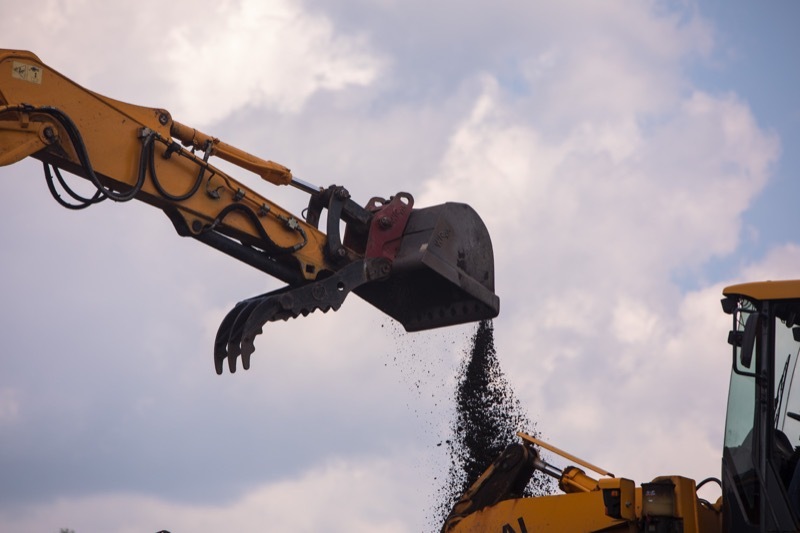 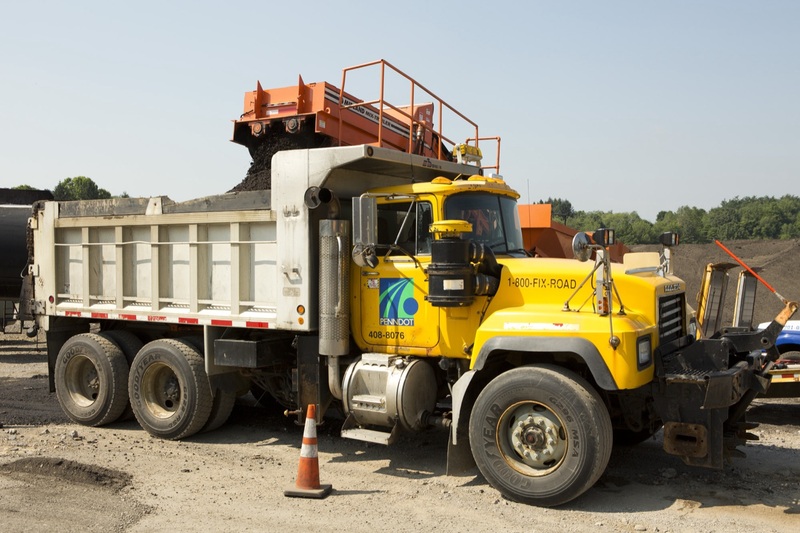 Pennsylvania Department of Transportation (PennDOT) officials today highlighted roadway improvements using recycled asphalt paving, or RAP, on nearly 4 miles of lower volume roads in Monroe County. 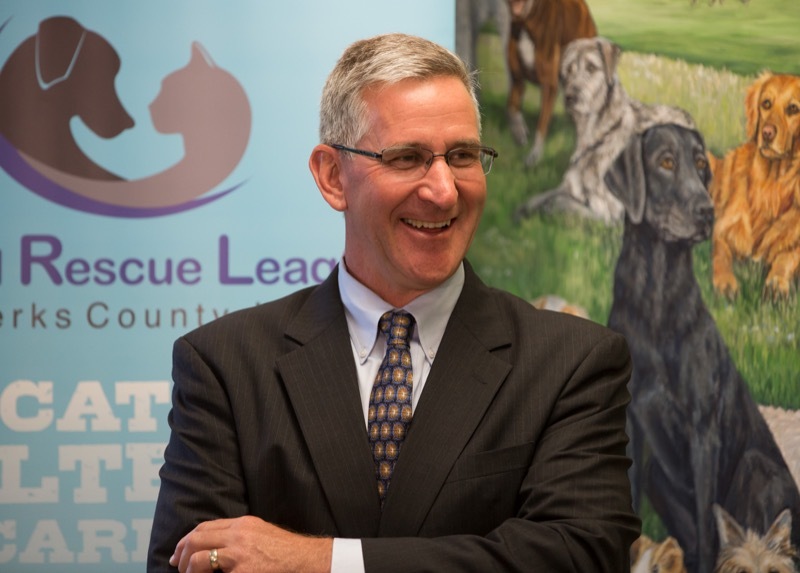 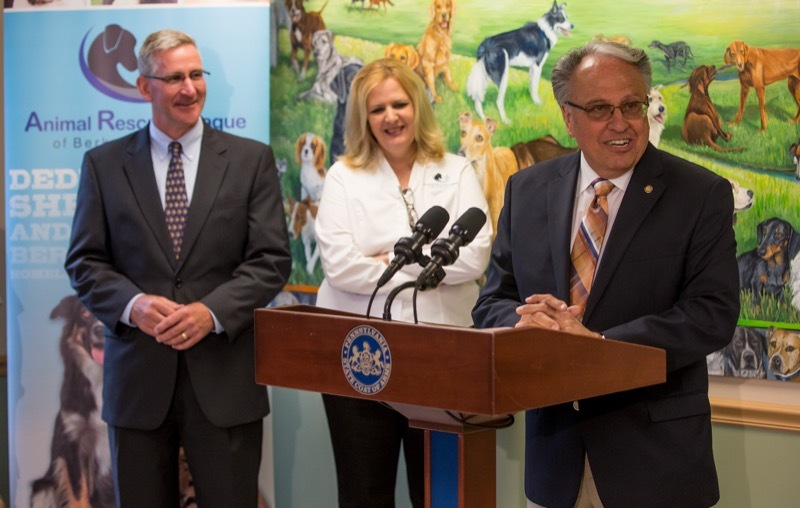 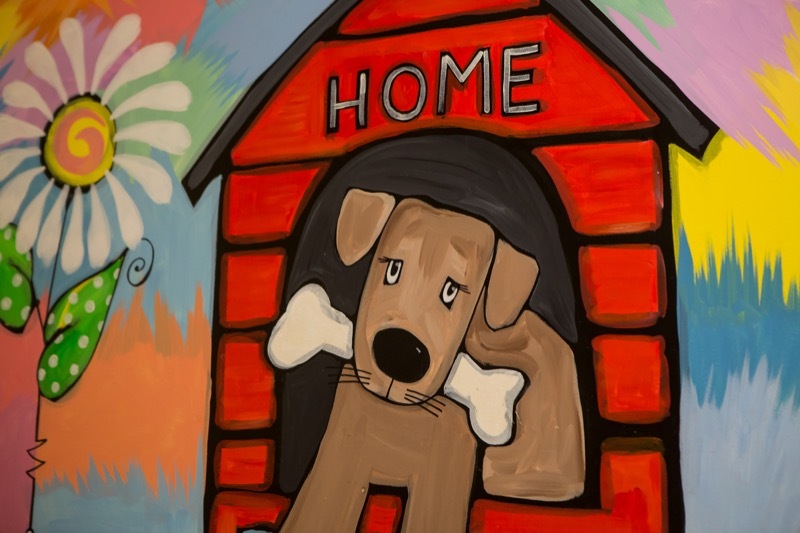 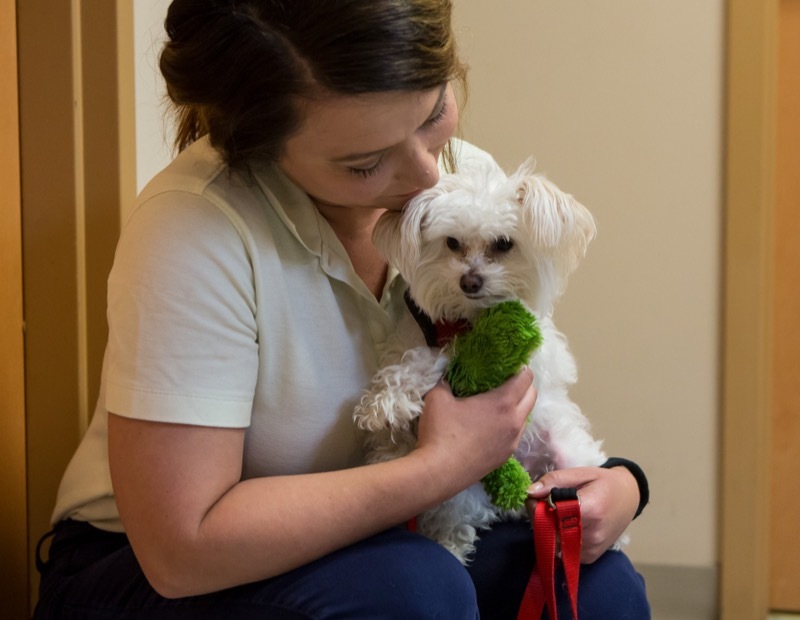 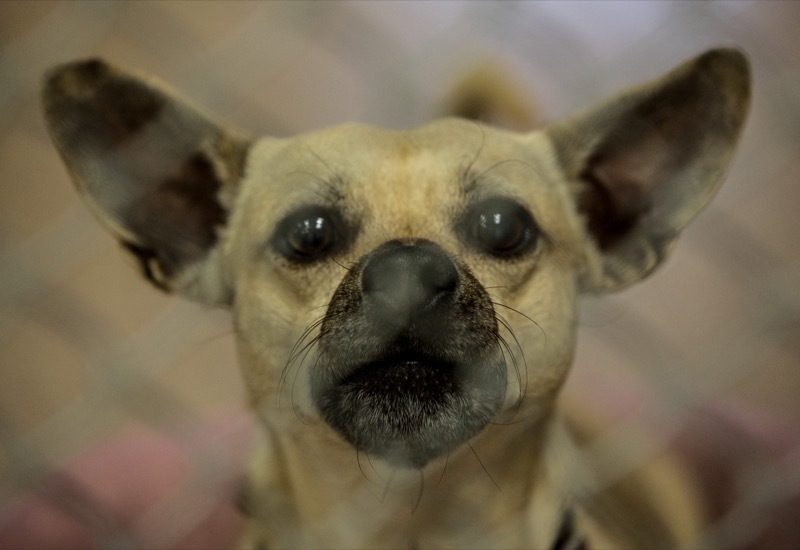 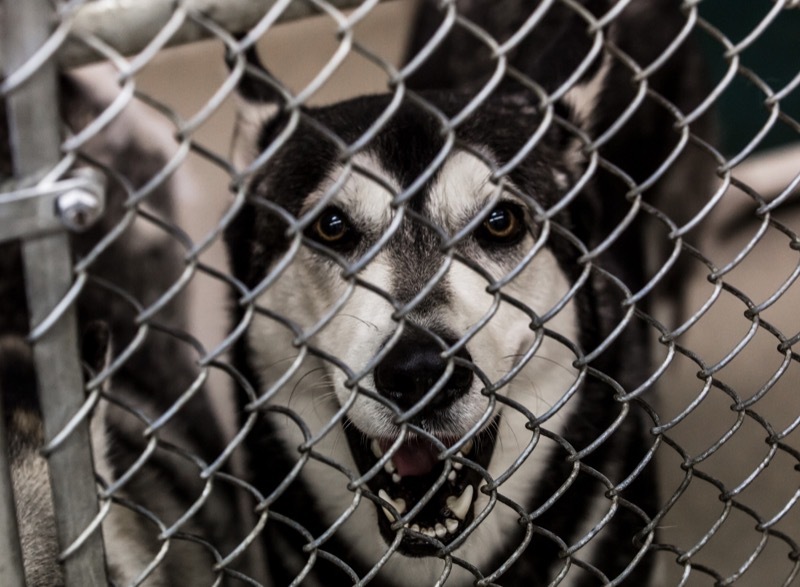 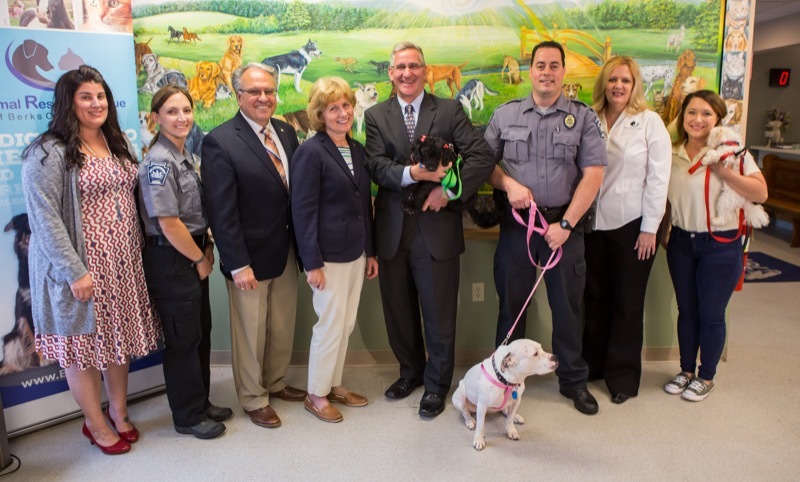 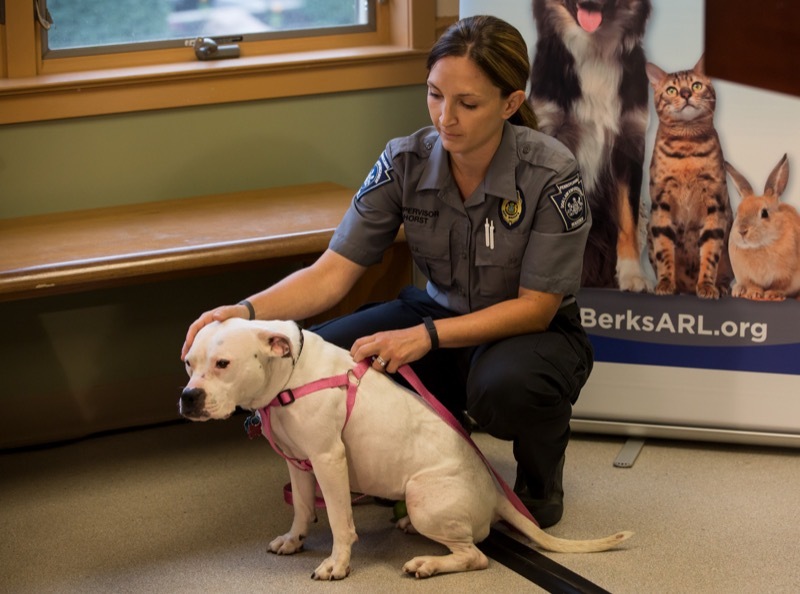 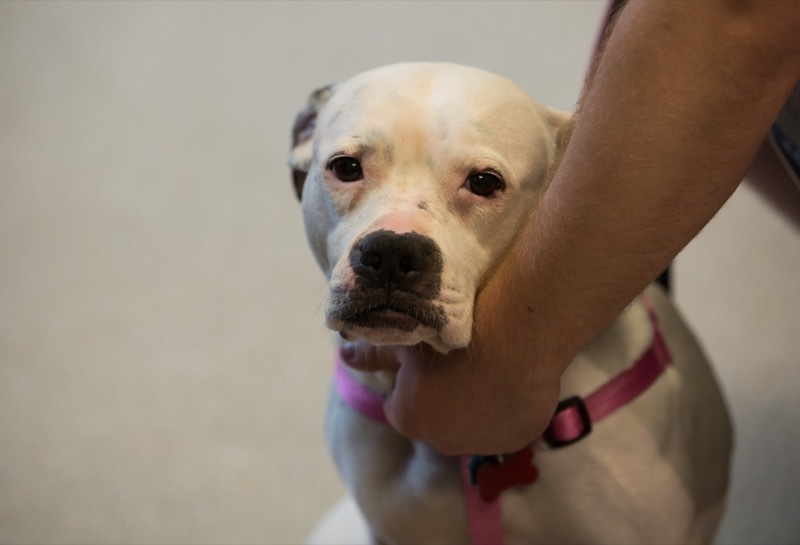 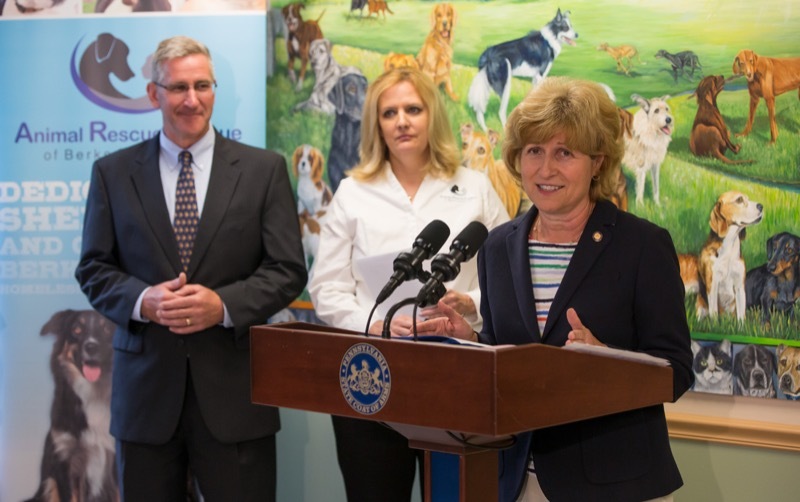 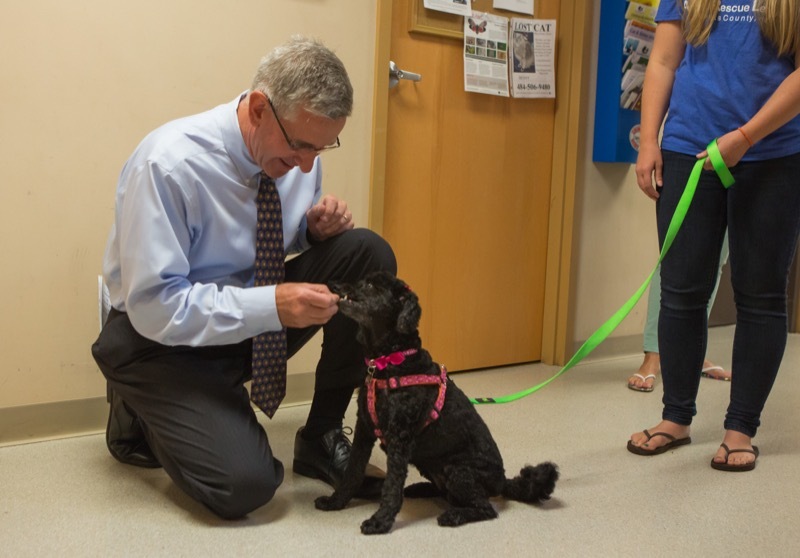 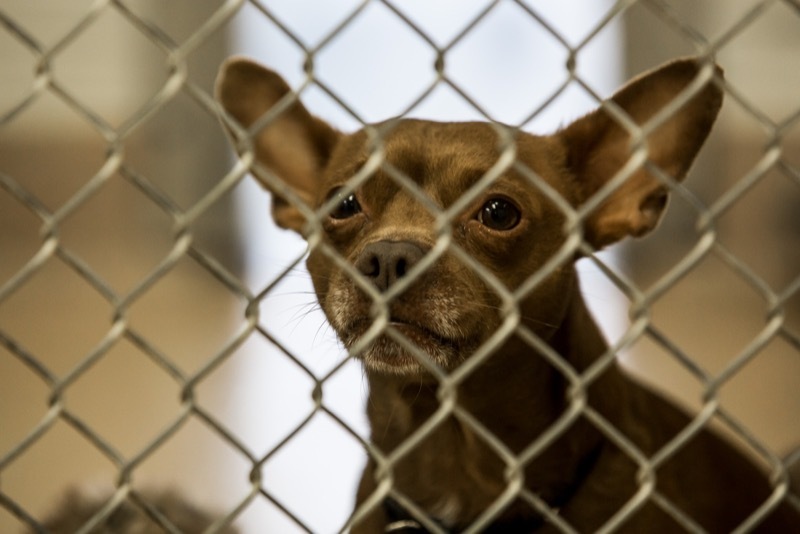 During a visit to the Animal Rescue League of Berks County, state Agriculture Secretary Russell Redding today warned that the fund which helps Pennsylvania to protect the well-being of dogs, as well as members of the public from dangerous dogs, will run out of money in the next year without reforms that will modernize operations and raise revenues. 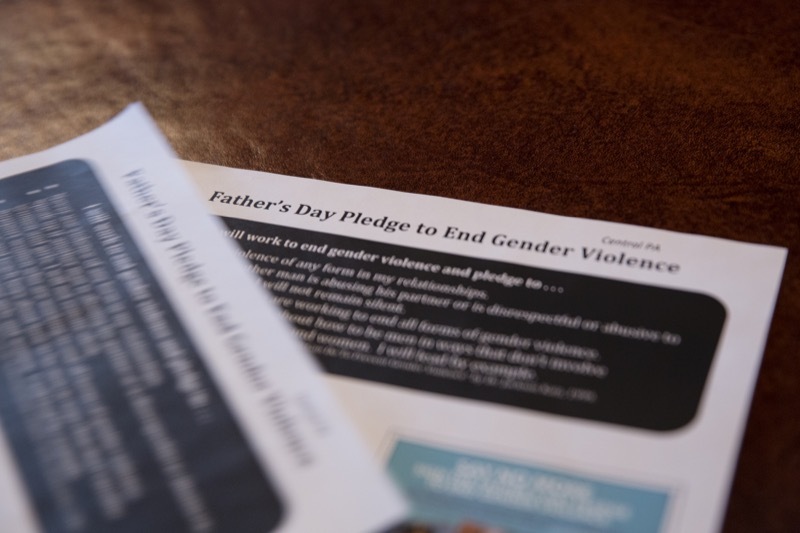 Governor Tom Wolf today is urging Pennsylvanians to join him in taking the Father's Day Pledge to end gender violence. 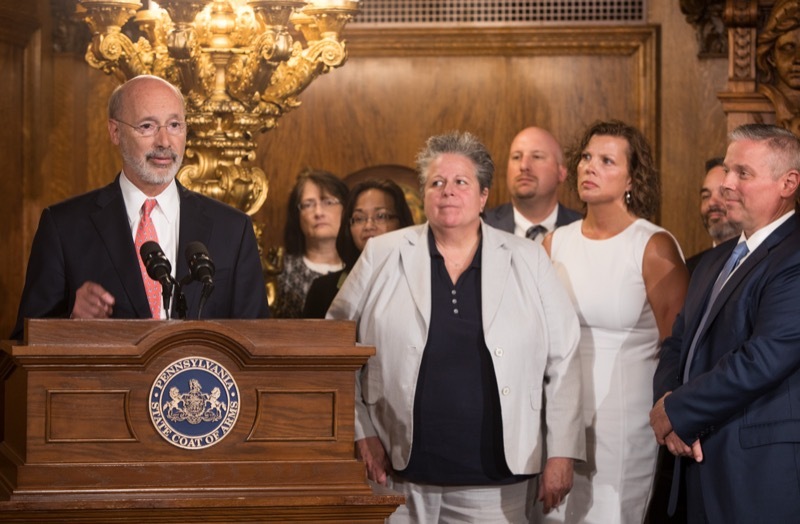 Governor Wolf is joining the Philadelphia Phillies and Pittsburgh Pirates, along with other elected officials and men across Pennsylvania, to commit to never use violence in relationships, speak up, support work to end gender violence, and be a mentor to younger men. 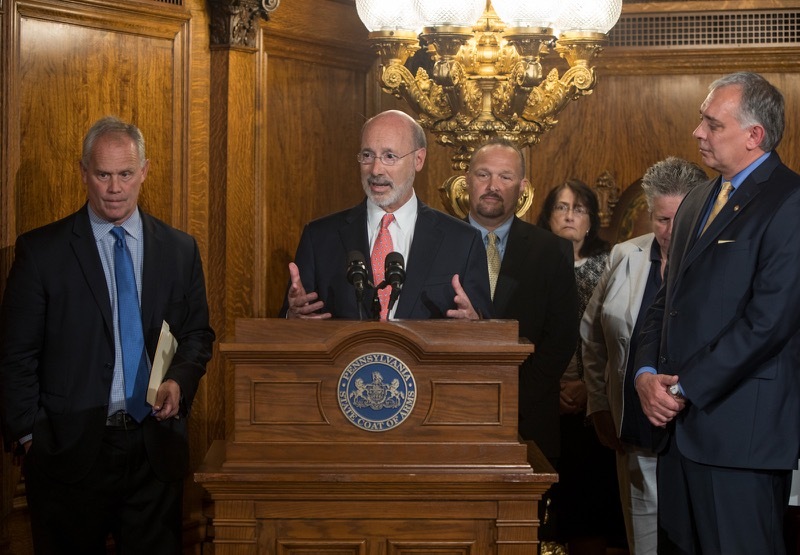 Attorney General Josh Shapiro is working with a bipartisan coalition of a majority of Attorneys General from across the country in an ongoing investigation to evaluate whether manufacturers have engaged in unlawful practices in the marketing and sale of opioids. 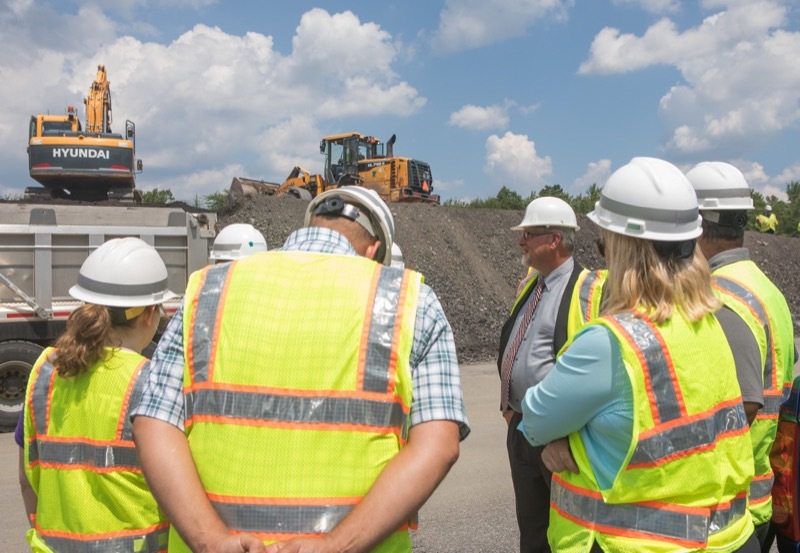 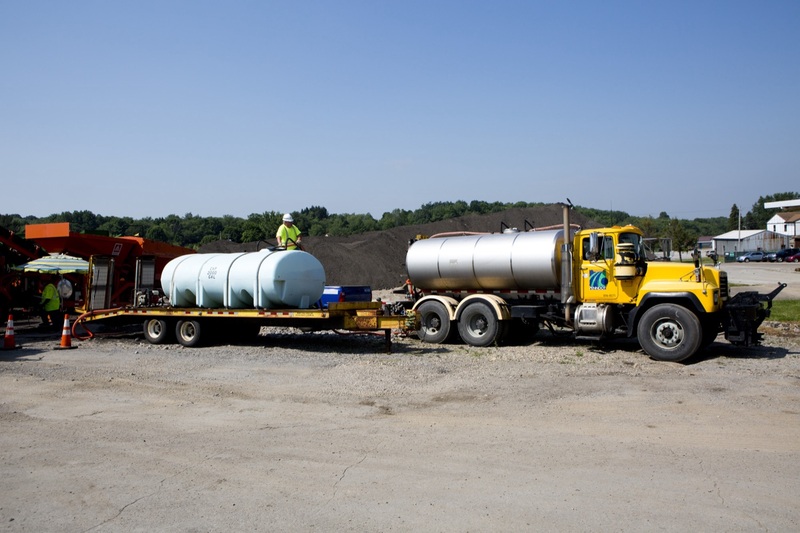 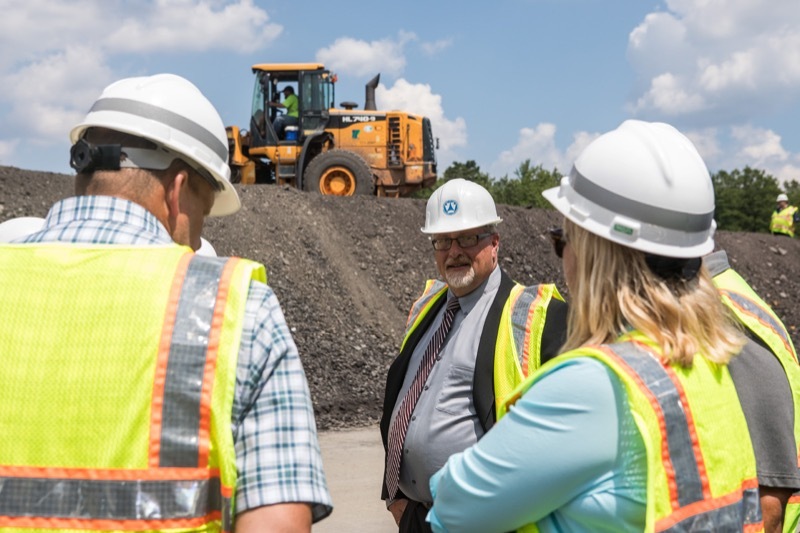 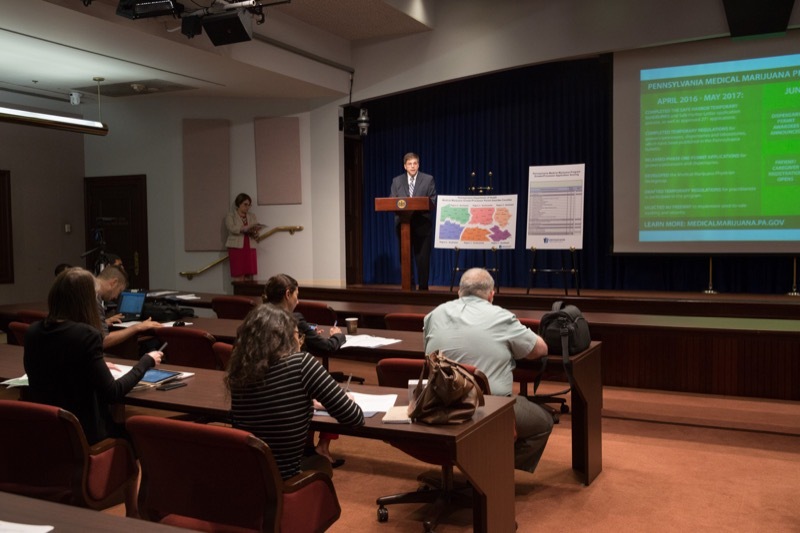 Pennsylvania Department of Transportation (PennDOT) officials today discussed an innovative paving method being deployed for the first time in Armstrong County to improve nearly five miles of rural roadway.